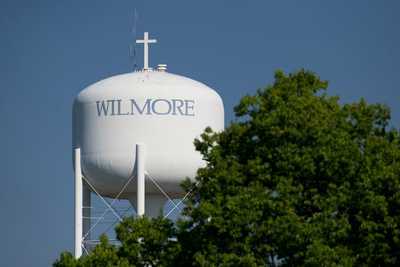 WILMORE, Ky. — The mayor of a city in Kentucky is refusing to remove a cross from a water tower that belongs to the city but is on private property despite demands from an atheist organization to remove the crucifix. The water tower sits on the property of Asbury University, a private Christian institution. The cross was placed on the tower when it was owned by the university, and remained after the city bought the tower back in 1976. According to reports, it was part of the transferal agreement to leave the cross in place. But FFRF said that makes no difference. She insinuated that FFRF might sue if the cross is not removed, pointed to another suit filed against the town of Whiteville, Tennessee. However, Mayor Rainwater, who is also an associate professor at the university, says that he is not backing down. Rainwater stated that the citizens of Wilmore want the cross to stay.